Once a Cathedral built during the 16th Century by the Portuguese, The Ruins of Saint Paul or the Ruinas de Sao Paolo in Portuguese, is now a landmark and a national symbol of Macau Special Administrative Region, China. 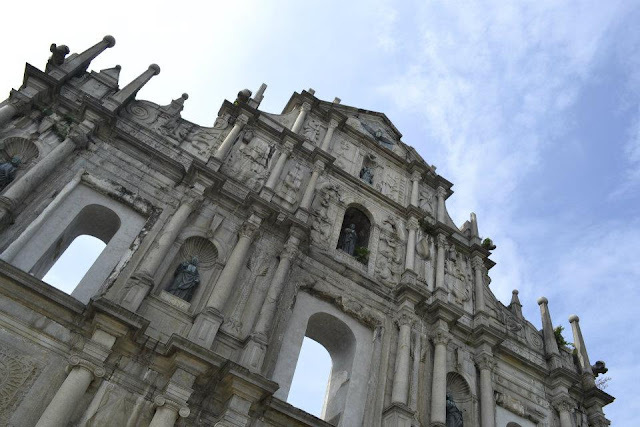 Now listed as a UNESCO World Heritage Site, the Facade of the Cathedral of Saint Paul is the only left atop the hill along the Old Complex. From the Galaxy hotel wherein we had our first Lunch in Macau from Hong Kong, we took a Cab that went straight from Taipa to Macau which is on Mainland China. 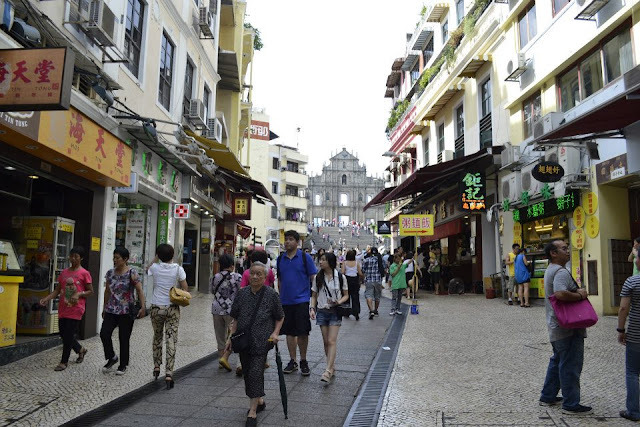 It is connected by very long bridges to and from Macau and Taipa. In the heart of the city, the Senado Square is Located. 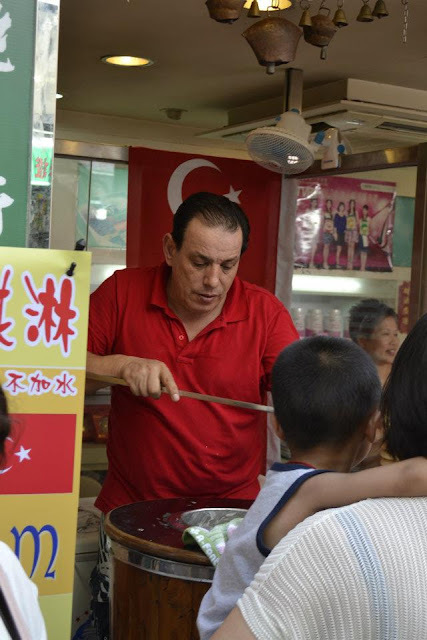 It is a beautiful Town Square wherein the Original Colonial Buildings are still conserved and in use up to this moment. Another picture of me in front of Leal Senado Building. As you trudge through the paved ways that gradually gets higher and higher, the first thing that you will pass by just before the avenida becomes alleyways is the Santo Domingo Church. It is a Big Church Painted in Yellow which I shall be featuring on my next posts. And tons of shops and outlets from Levis to Giordano to Adidas are lined up beautifully along the way. 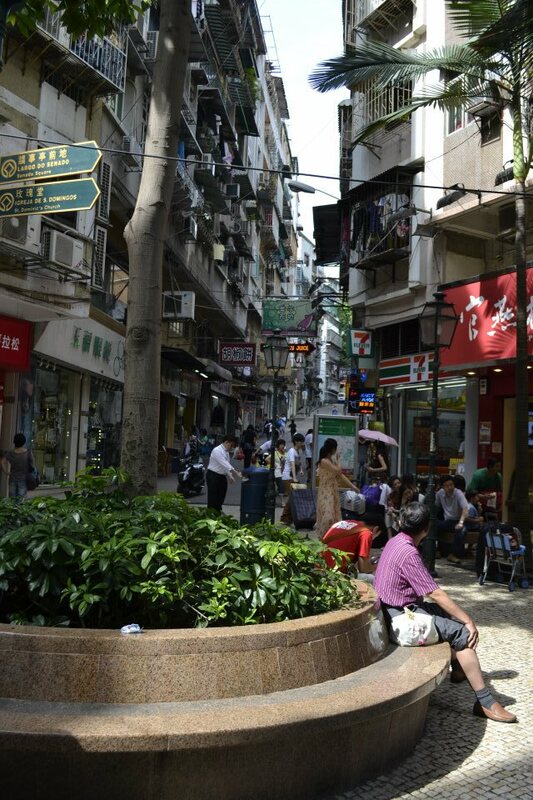 Some of the little crossings along the alleys that lead to the Ruins. Turkish Man selling his Ice Cream. As the road gets very narrow and the shops seem to sandwich you along the way, you can now see it straight. As it gets bigger and bigger to sight, you get closer and closer to the Ruins. It's a beautiful sight to see and as to most Landmarks, I told myself "Wow! 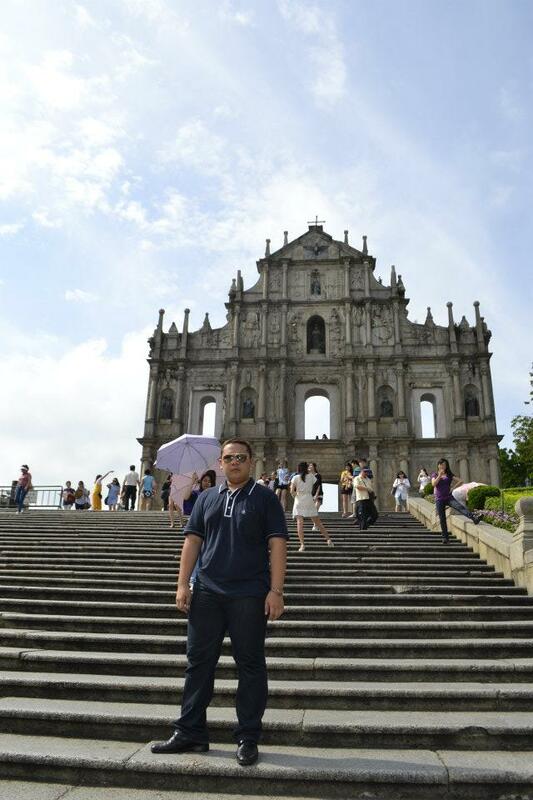 Now I'm in Macau!". It was beautiful and the feeling is just so rewarding! That after miles and miles and a few hundred yards of walking, I'm there, I reached the top! The view from the Ruins from beyond. It gets closer and closer and closer. Never will I forget this trip especially this very moment that I have shared with you! Macau truly is enchanting, a natural concoction of East and West over a period of Time. 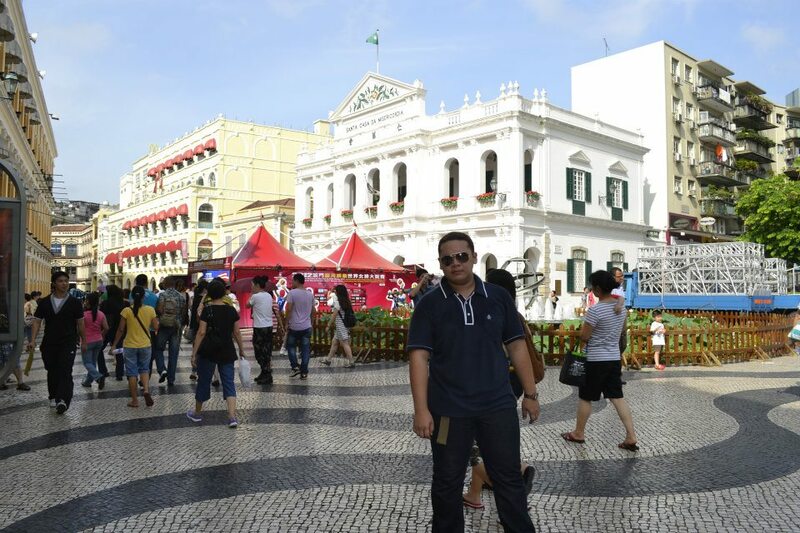 Macau is just magical! Me at the Ruinas de Sao Paolo. 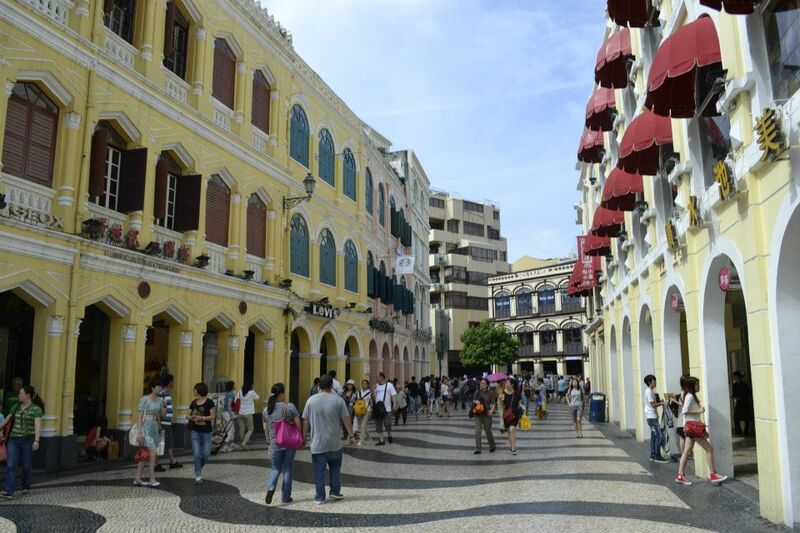 Physically at the Office, but while I write and my head is just filled with freshest memories of Macau. Never Stop Dreaming!